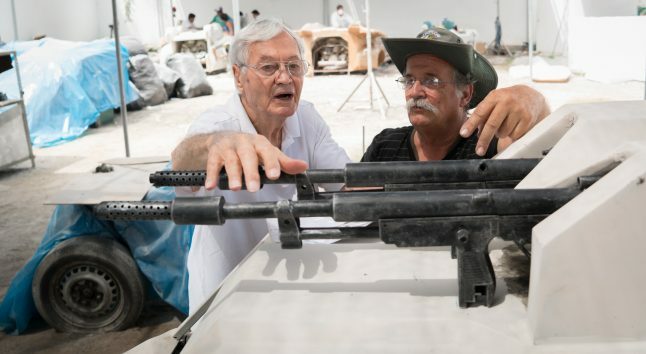 Roger Corman turned 90 this year and to celebrate he, y’know, made another movie. But not just any movie. A legitimate sequel/reboot to the film that defined his work in the 1970s: 1975’s blistering, brutal and satirical bloodbath, Death Race 2000. But the beauty of his business model was that Corman, a student of literature and fine art and a lover of cinema, always managed to ensure that his movies had class, grace, style, wit and every so often, genuine social importance. In the history of cinema there is no one else quite like the amazing, trendsetting, groundbreaking and tireless Roger Corman. And very likely, there probably never will be again. 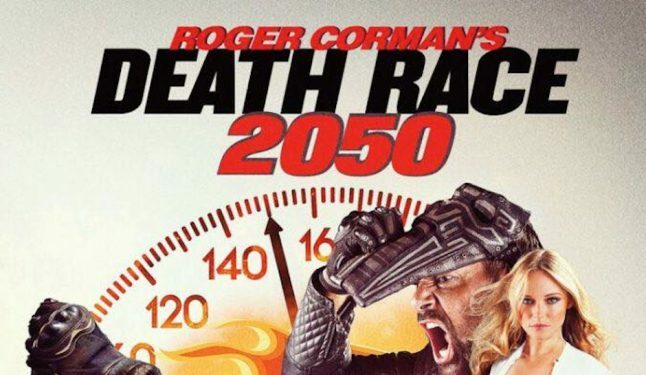 Shot earlier this year in Peru and produced by both Corman and his business partner and wife, producer Julie Corman, Death Race 2050 is yet another go-for-broke look at an America gone made, where auto enthusiasts entertain the masses in a cross-country race where running over and murdering both pedestrians and each other is encouraged and celebrated. Manu Bennett replaces the late David Carradine as the leather clad driver “Frankenstein” and the immortal Malcolm McDowell appears as The Chairman, a character with eerie similarities to a certain current President Elect. Actor-turned-director G.J. Echternkamp takes over for the long since passed Paul Bartel, the multi-hyphenate Corman regular who helped steer the original to screen. We’ve known Roger for many years and we always jump at the chance to get on the phone with him and talk shop. And we’re consistently blown away by how articulate, smooth, perceptive and passionate he is about his work, his life and the world in which he lives in. People like Roger Corman truly prove that secret to a long, healthy life is to not dwell on the past but consistently look to tomorrow. And he does. And we love him for it. Here’s an exclusive audio interview we conducted with Roger yesterday. Enjoy and be sure to look for Death Race 2050 when it hits DVD and Blu-ray on January 17th.